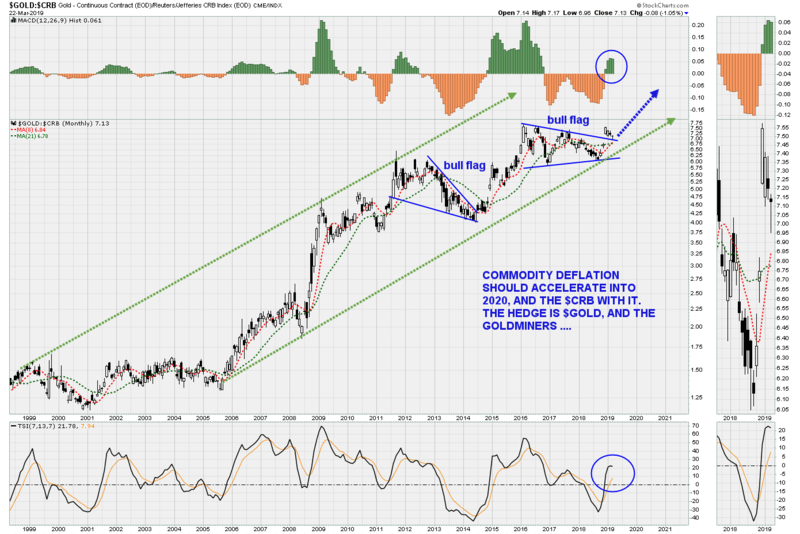 An update on the monthly $GOLD:$CRB chart indicates a possible completion of backtesting here, before the next move higher. This ratio has been in a bull market since 2005, with an impulse move higher out of a bull flag, in the order of 70% from here to about 12 on the ratio, over the next 2 to 3 years. This will add fuel to the fire for the gold miners, as their materials costs should drop, relative to the $Gold price.